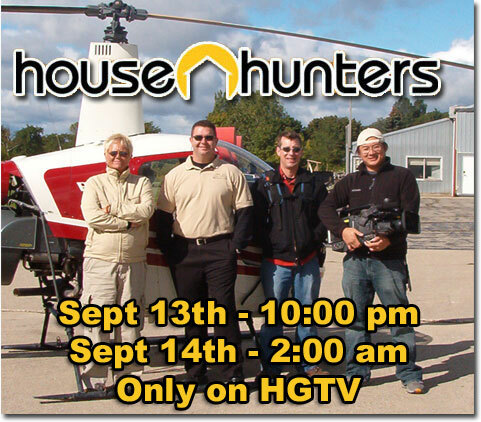 "Invade Ann Arbor and Romeo with Chopper Mike"
Read more about Chopper Mike's edition of House Hunters! "Chopper" Mike Lee is part of the AAA North Team, serving southeastern Michigan. Are you looking to down size, upgrade, relocate or start investing in the housing market? Or perhaps you are a first time home buyer or looking for that up-north retreat to get away from everything? Are you thinking of selling or purchasing a business? Why not start off the right way by working with me, a Professional Realtor. Don't rely on that part time agent with part time knowledge of the housing market. As a full time realtor, I will be looking out for your best interests whether you are a buyer or a seller. Together with my team of professionals, we can make the purchase or sale of your home a positive experience. I really look forward to speaking with you soon! 1. Each office is independently owned and operated. service mark of Century 21 Real Estate Corporation.